An image of the Samsung Galaxy Premier has appeared on Twitter, this phone has been rumoured before and now this latest leak comes from @evleaks (many a phone has popped up on this account before). 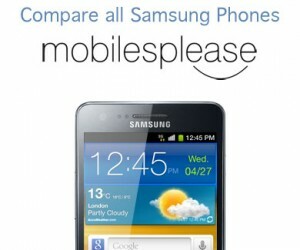 This latest image leak shows the phone has very similar looks to the Samsung Galaxy SIII and the specifications that have leaked so far include a 4.6-inch Super AMOLED display and an 8-meggapixel camera. Connection options on board include Bluetooth, NFC and DLNA whilst under the hood is a 1.5GHz dual-core processor. Other features expected on the Galaxy Premier include Android 4.1, a 2-megapixel front facing camera and a microSD card slot. The leaked shot doesn’t give any details as to when this latest Samsung phone will be announced or when it will be available in shops, so we will keep you posted.